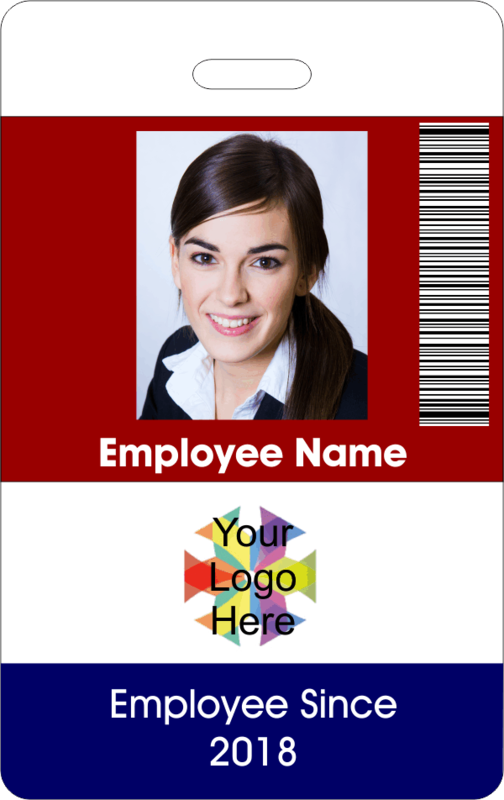 Enhance workplace security and easily identify your employees with our Primary Barcoded ID Badges. Attractive, yet professional, each of our badges are custom made to your specifications. Select the color of your choice to customize your photo ID badge, background is displayed as red & border is displayed as blue in the example ID badge image.